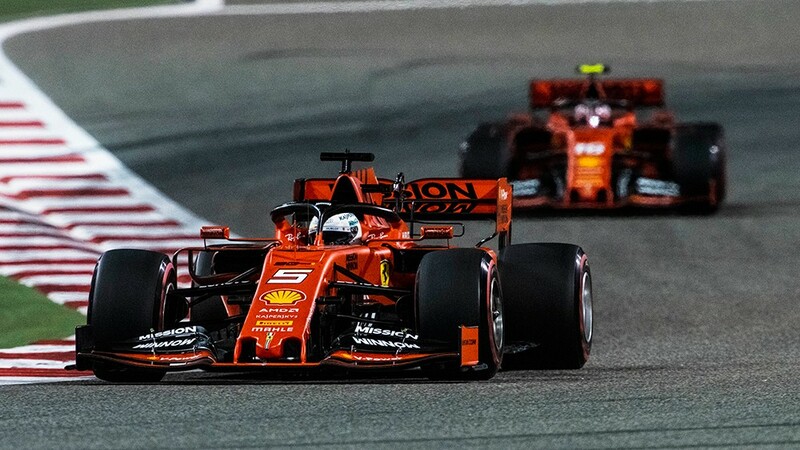 Scuderia Ferrari was the dominant force on the opening day of the 2019 Formula One Gulf Air Bahrain Grand Prix. However, Mercedes, the winning team of the opening race weekend in Australia applied a very different approach to its preparation for the second race of the season. In both practice sessions in Manama, Ferrari had a clear advantage in terms of one-lap performance. In the first free practice session, Charles Leclerc topped the timesheets in front of his teammate Sebastian Vettel. The Mercedes drivers were almost a second adrift with Valtteri Bottas setting the third best time, 0.974 seconds shy of Ferrari’s best. In the evening, Ferrari continued to dominate the proceedings, but their drivers swapped places. 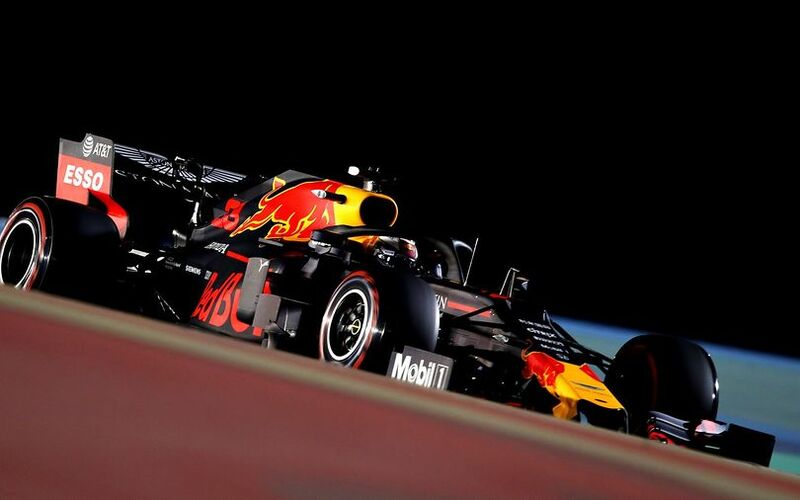 Vettel topped the second session with a time of 1.28.846, just 35 thousands quicker than his new Monegasque colleague. Mercedes’ Lewis Hamilton went on to the set the third best time, 603 thousandths shy of the German’s laptime. The dominant form and the big difference to Mercedes were surprising after Ferrari’s struggles in the season-opener. However, the Scuderia admittedly completed the Friday sessions with a different approach compared to the normal programmes. 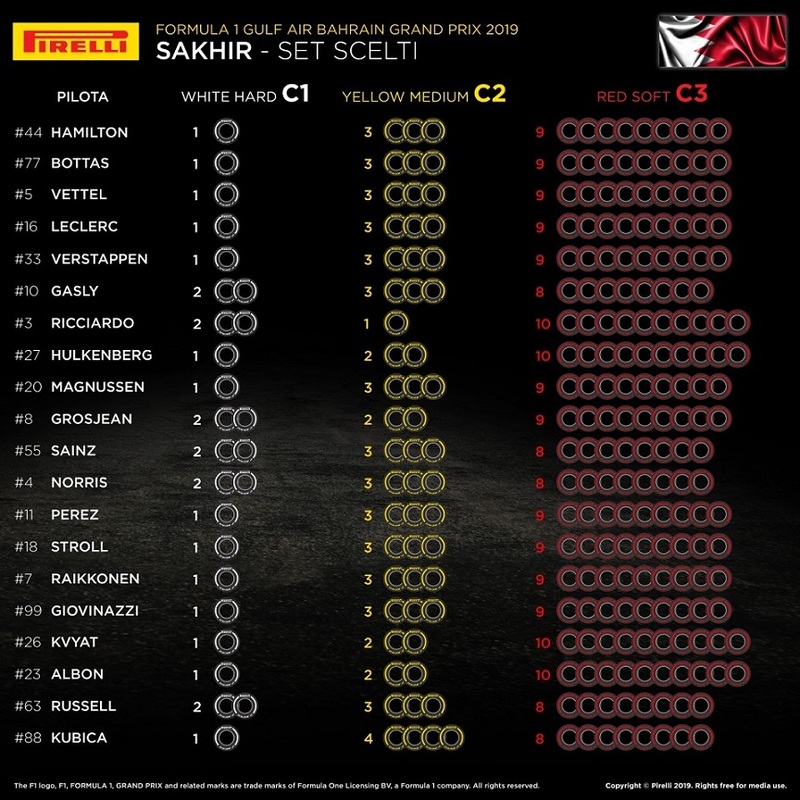 Both Sebastian Vettel and Charles Leclerc used three sets of tyres in the evening compared to the usual two-set method. After the initial setup run on the C2 medium compound, Ferrari sent their cars very early onto the track on the soft Pirelli rubber for the qualifying simulation. Vettel went immediately quickest by far with a time of 1:28.942 with Leclerc setting the second quickest time. Both drivers attempted a second try, but neither of them could go quicker on that set of tyres. In fact, their second push lap was around a second slower than the first one. Meanwhile, Mercedes and almost all the other drivers headed on to the track for the one-lap-performance simulation. Interestingly and surprisingly, Ferrari rolled out for a second qualifying simulation, using a second set of C3 red-stiped Pirelli tyres. Both drivers found another tiny chunk of time with Leclerc finding the bigger improvement which saw him closing in on his teammate within 35 thousandths of a second. After that attempt, both drivers rushed back into the pits, not putting any more stress on their second set of C3. This unusual approach indicates that Ferrari wanted to check whether the changes they implemented after the unsuccessful Australian Grand Prix were effective enough to fix the balance issues. Ferrari team principal Mattia Binotto said earlier during the weekend that the Italians' engineers were working on three different areas after the uncompetitive performance in Melbourne: engine settings, car balance and tyre management. Because each top-driver bar Pierre Gasly, has the same tyre allocation for this weekend, Ferrari can start the third free practice session with that used compound, before mounting a fresh set of C3 compound on the SF90. It would leave Ferrari with a fresh of C1 hard compound, a fresh set of C2 medium and five sets of C3 soft sets for the qualifying and the race, which is the expected allocation for Mercedes and Red Bull, as well. Ferrari could have thought of the idea of using another set of soft compounds in FP2 because the opening phase of the third free practice session might be not really representative since it takes places under hot conditions with the sun still warming up the air and asphalt temperatures while the qualifying and race will be held under floodlit conditions when the temperatures drastically and quickly drop. Mercedes’ sudden drop in performance during the first day of the weekend indicated that the Anglo-German team ran a very different programme to their rivals after their demoralizing performance in Melbourne a fortnight ago. Renault’s and Haas’ relatively close proximity to Mercedes in the timesheets also suggests that the reigning world champion outfit was holding back its true performance during the qualifying simulations. After the second session, Ferrari’s team principal Mattia Binotto confirmed that Ferrari was running higher engine modes compared to their rivals according to the GPS data. “It’s quite obvious, you may see the GPS data, the speed on the straights, we were certainly pushing different engine modes compared to what the others were pushing." Mercedes’ engine chief Andrew Shovlin also suggested that Ferrari's advantage was partly down to differing engine modes. “Ferrari are clearly quick on the straights here but it may be that they are running their power unit a little bit harder than we were today," said Shovlin. According to the FOM data, the majority of Ferrari’s advantage came on straights. On the fastest laps, Mercedes were losing 0.298 on the straights to the Italians, 0.097 seconds in the slow turns, 0.221 in the medium bends while the W10 could make up ground in the fast corners, gaining 67 thousandths of a second.